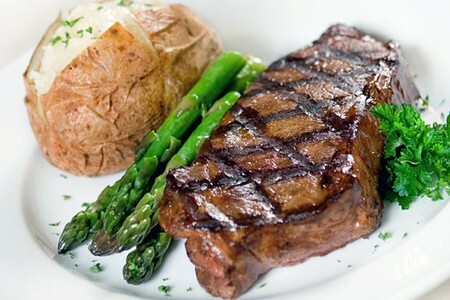 Just minutes east of the Las Vegas Strip, Kelly’s Prime Steak & Seafood offers a classic steakhouse setting where diners can enjoy world class American cuisine. An outpost of the more notorious Long Beach success, Kelly’s now occupies a 12,000 square foot dining space with close proximity to both major convention centers . Open for lunch during the week and dinner every night until midnight, Kelly’s is the perfect place for a romantic date night or a lively gathering of family and friends. The restaurant can accommodate private parties in several different banquet rooms with budget friendly options, which is a rare find among the prominent Las Vegas dining scene. For those just looking for a great place to enjoy a few drinks and light bites, the lounge offers libations, live entertainment and a bar menu full of delectable appetizers, as well as a nightly happy hour. The main dining room features the traditional steakhouse fixtures with beautifully set white table cloths, contrasted by dark wooden beams, columns and chairs. The extensive menu showcases a broad selection of home-made soups, fresh salad specialties like Kelly’s Famous Throckmorton and premium cuts of beef including Roast Prime Rib, Filet Mignon, and Porter House. Along with several ocean classics such as the Pan Seared Salmon or Twin Lobster Tails, and specialties like the Chateaubriand and Colorado Rack of Lamb, Kelly’s menu is sure to be an all around palate pleaser for everyone in the group. | Dinner 3 p.m. - 11:45 p.m. This is a sample menu only. Prices and availability may be subject to change. Parties over 6 or more will automatically include a 18% gratuity. Lightly battered and served with two sauces: cocktail sauce, mustard aioli. Lightly spiced tomato broth laced with bacon, garlic, white wine, garlic toast. Court bouillion poached wild Mexican prawns, cocktail sauce, fresh grated horseradish. Filet mignon, grilled and sliced,red wine demi-glaze, and crispy shoe string potatoes. Thinly sliced Ahi tuna with our own ponzu sauce, toast points, sesame seeds, spicy aioli. Canadian bay shrimp, heirloom tomatoes, sweet onions, roasted red bell peppers, capers, gruyere cheese, romaine, bluefort dressing. Heirloom tomatoes, fresh burrata mozzarella, balsamic reduction, Basil, extra virgin olive oil, basil oil, sea salt, and pepper. Beef blend of ground short ribs and chuck, heirloom tomato, romaine, truffle mayonnaise, caramelized onions, and your choice of cheese, served with your choice of house salad or hand cut potato fries. Thinly sliced prime rib, caramelized onions, French baguette, creamy horseradish, and au jus, served with your choice of house salad or hand cut potato fries. Sam Adams beer battered fish, hand cut potato fries, tartar sauce & coleslaw. Seared chicken breast in a traditional Piccata sauce. Stuffed with gruyere, spinach, and mushroom. Fresh cut Idaho potato fries, beer battered onion rings served with garlic mayonnaise and homemade Bluefort. Chunks of lobster laced with brandy, sherry and cream. Chef's choice depending on season.